Get a taste of SweetLeaf products, the ultimate companion for all your sweetening and flavoring needs. Now on sale at BodyTech in Rockville, MD. Use zero-calorie, sugar-free, flavorful SweetLeaf products in recipes, drinks, smoothies, baked foods, or sprinkled on cereals or fruits, for delicious taste with better-for-the-body benefits. SweetLeaf adds tasty sweetness to all your favorite foods and beverages. 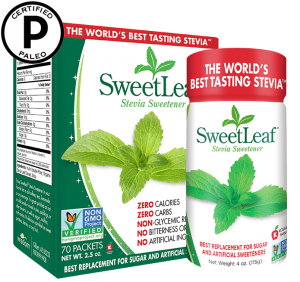 Best Taste Award Winning SweetLeaf Organic Stevia! 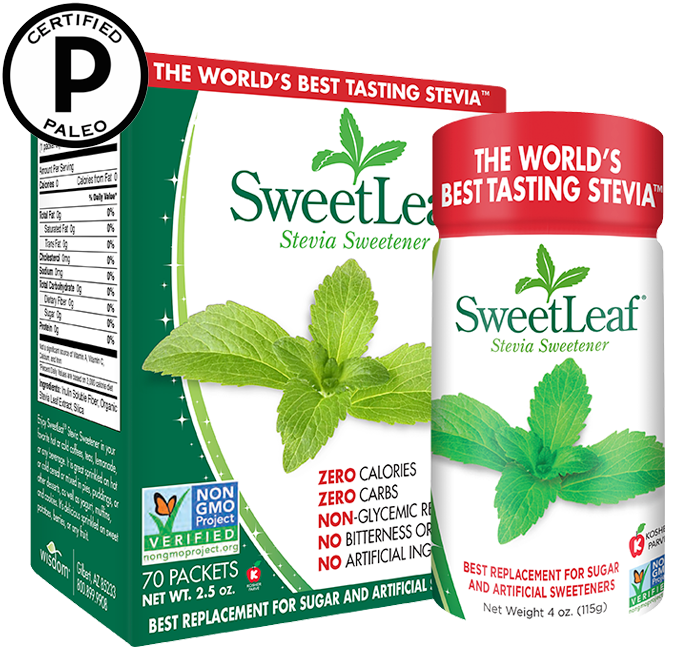 SweetLeaf Stevia Sweetener is America’s first zero-calorie, zero-carbohydrate, certified-paleo, non-glycemic-response sweetener. Substitute our award-winning SweetLeaf in place of sugars in foods and beverages for a delicious, healthy, good-for-you treat. 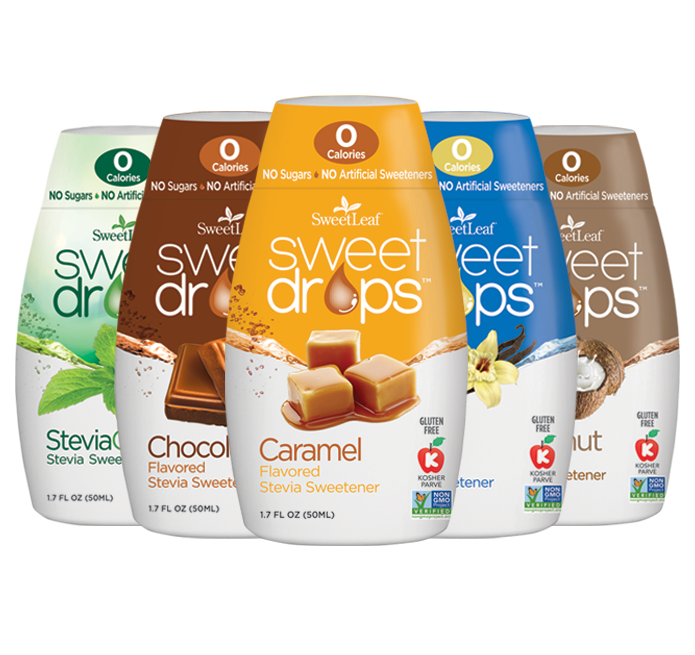 SweetLeaf Sweet Drops Liquid Stevia is a tasty, convenient, and calorie-free way to flavor water, oatmeal, smoothies, coffee, tea, and so much more. Available in a wide variety of delicious, award-winning flavors. Add a delicious, sweet taste with a splash of sugar-free flavor to foods, beverages, and recipes. 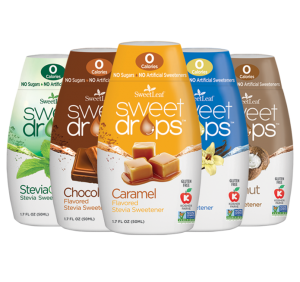 SweetLeaf Sweet Drops are a popular zero-calorie sweetener you’ll love! BodyTech sells a complete lineup of Sweet Drops at our store located right in the heart of Rockville, MD. These flavor-enhancing products allow you to add a splash of flavorful excitement to foods, beverages, and recipes without any guilt. Zero calories Sweet Drops come in six enticing flavors and are the perfect complement when you are looking for a delicious, sweet taste and no negative dietary effects. Made with the world’s best tasting Stevia, Sweet Drops offer are you’re healthiest sweetener option –zero calories, zero sugars, and no artificial sweeteners. SweetLeaf Sweet Drops are available in conveniently sized, BPS-free bottles. Enjoy the sugar-free sweetness of zero calorie SweetLeaf Sweet Drops. 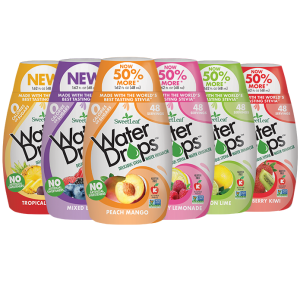 Just a few drops pack a flavor-filled punch of sugar-free goodness that will delight your taste buds and keep your sweet tooth in check. 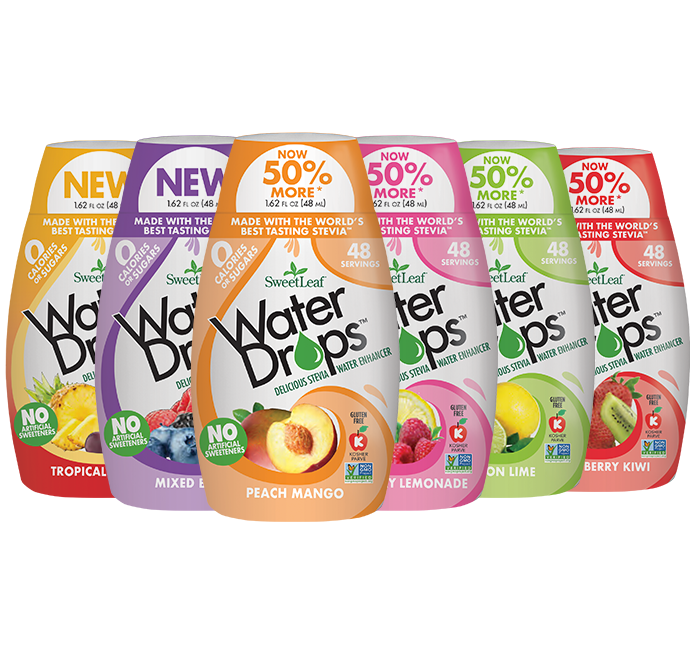 Go from water to WOW with fruit flavored SweetLeaf Water Drops. Packed in convenient, purse size bottles, SweetLeaf Water Drops are the perfect options when you crave a flavorful drink. Add these delicious water drops to your plain or sparkling water beverage. SweetLeaf now offers an organic alternative with no calories, no carbs, and no artificial ingredients. Available in 35- and 70-count packet boxes and 3.2 oz. shaker jar, the organic sweeteners are non-GMO, certified organic, and ideal for Keto and Paleo dieters. Stop by BodyTech Weight Loss & Health Clinic today, shop our large selection of SweetLeaf products today!